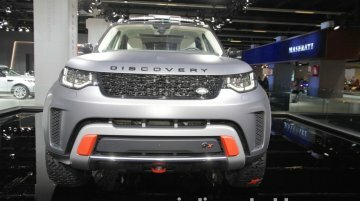 Update: The Land Rover Discovery SVX was supposed to go on sale by the end of 2018, but according to a new report from Autocar, the model has been cancelled. 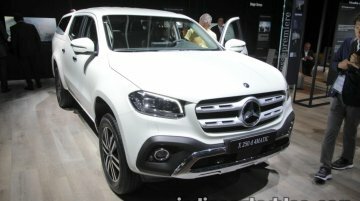 The company, will, however, use the SVX..
Mercedes is showcasing the Mercedes X-Class accessorised at IAA 2017 in Frankfurt. It boosts the complete accessory kit of the Mercedes X-Class, the three-pointed star's first pick-up. 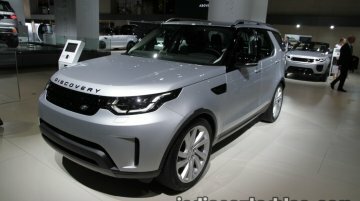 Some of..
Alongside the V8-powered Land Rover Discovery SVX sat the regular 2018 Land Rover Discovery, which is currently on sale in most global markets (including India). 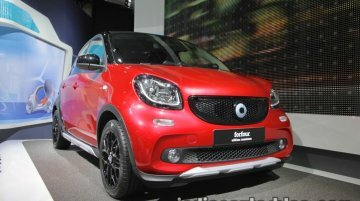 The new Discovery replaced the boxy,..
Another interesting concept Smart showcased at the IAA 2017 was the Smart ForFour Brabus Forrescue. 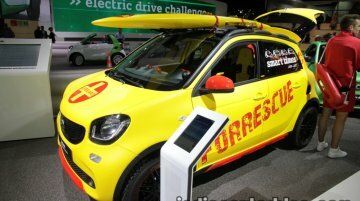 It gives an idea of a beach patrol and rescue Smart ForFour, which explains why the debut was set..
Mercedes-Benz is bidding adieu to the Mercedes G-Class in a fashionable way this year with a few limited-edition models. 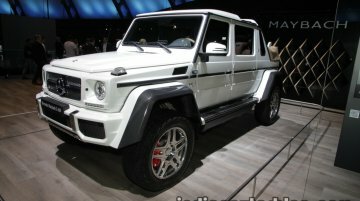 One of these is the Mercedes-Maybach G 650 Landaulet on display at the 2017.. 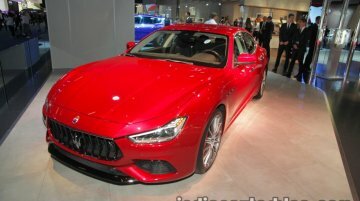 The 2018 Maserati Ghibli GranLusso and GranSport have been showcased at the 2017 Frankfurt Motor Show. Here are their live images from the show. 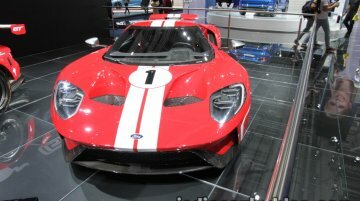 The 2018 Maserati Ghibli GranLusso and..
At the IAA 2017 in Frankfurt, Ford is showcasing the 2018 Ford GT '67 Heritage Edition and the Ford GT racecar. 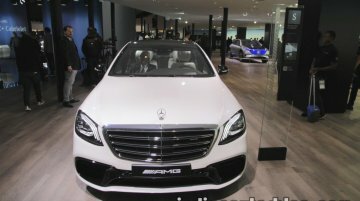 The former pays tribute to the GT40 Mark IV race car driven by Dan Gurney and AJ Foyt,..
Mercedes-Benz Vans is displaying the Mercedes V-Class Exclusive Edition at the 2017 Frankfurt Motor Show. 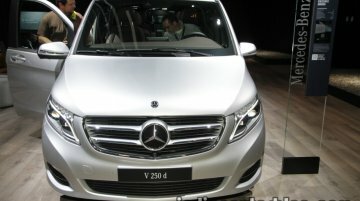 The Mercedes V-Class Exclusive Edition features exclusive equipment and appointments.. 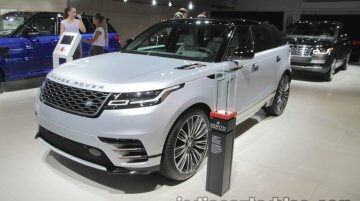 The Range Rover Velar and the Range Rover Velar First Edition have been showcased at the 2017 Frankfurt Motor Show. The front fascia of the Range Rover Velar features an optional matrix LED.. The smart forfour crosstown edition has been showcased at the 2017 Frankfurt Motor Show. The smart forfour crosstown edition will reach dealers in autumn this year in Europe. On the outside,..
Dacia has showcased the 2018 Dacia Duster EDC at the 2017 Frankfurt Motor Show. 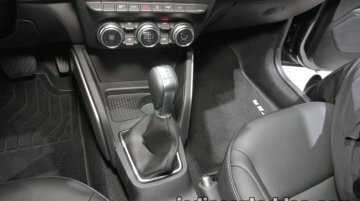 The other variant on display sported a 6-speed manual transmission. The 2018 Dacia Duster, while retaining the..
Mercedes-AMG has showcased its concept four-door coupe, the Mercedes-AMG GT Concept, at the 2017 Frankfurt Motor Show. 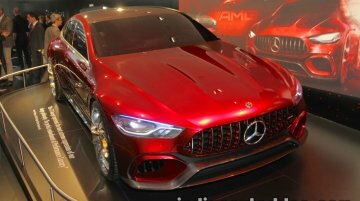 The Mercedes-AMG GT is the brand’s third autonomously developed sports..
Suzuki is showcasing the 2017 S-Cross at the ongoing Frankfurt Motor Show alongside other models from Suzuki's portfolio including the debutant, 2018 Suzuki Swift Sport. 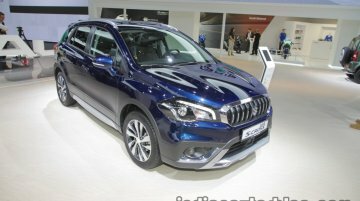 The Suzuki S-Cross facelift..
Honda is showcasing the 2017 Honda Civic Sedan at the 2017 Frankfurt Motor Show. 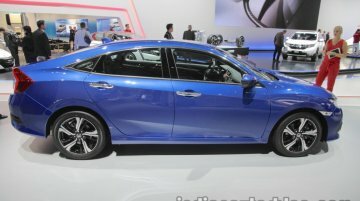 The latest Civic Sedan is already on sale in Europe. The tenth generation Honda Civic Sedan is built on an..
BMW is showcasing the 2018 BMW M5 First Edition at the 2017 Frankfurt Motor Show. 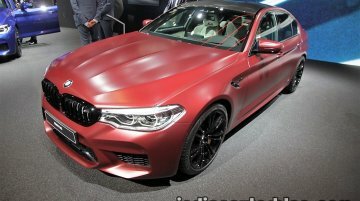 Here are the special edition sixth-gen M5's images from the show. The 2018 BMW M5 First Edition features..
To showcase the capabilities of its new bespoke customisation division 'Porsche Exclusive Manufaktur' on a series production level, Porsche has brought the 2018 Porsche 911 Turbo S Exclusive Series.. 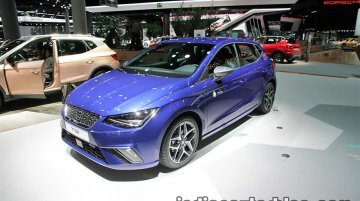 The Seat Ibiza TGI has debuted at the 2017 Frankfurt Motor Show. The Seat Ibiza TGI is Seat's third CNG powered model after the Leon and the Mii. 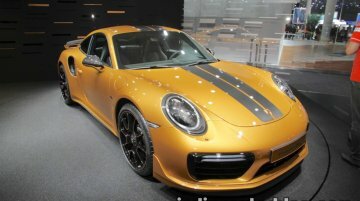 The fifth generation model is the first ever..